….where no camera has been before!! So, I’m booked in for a photographic session later on in May, wondering if they’ll let me have a set of the pictures of my intestines and bowel! Apparently, they pump your back end full of air – nothing new there, then! And I have to have a baby-sitter for the night, it seems, and my lovely mate Alan has already volunteered to share ‘windy city’ with me. It’s strangely peaceful in my head, which is something I’m very happy to report, no point in worrying about the future, whatever the outcome. I know that God heals, but that sometimes, for reasons I WISH I knew, he doesn’t, and having lost one of my best mates to cancer just a few months ago, I know I’m no more ‘immune’ than anyone else to that foul disease I want, so much, to be eradicated from our lives…. Thank you for your prayers: I would still covet them, of course, as until the very hungry caterpillar camera snake has sent back its distant images, I know nothing, Meester Fawlty…. And tomorrow, I go and see the orthopaedic specialist about these items called knees….which, wonderfully, have been significantly less painful for the past few weeks: I think that, tomorrow, I’ll feel a bit like you do when you take your car in to a garage, because it’s making horrible noises – and then it doesn’t, there – until you drive away again…. there was some Irish bloke named Murphy who seemed to have that sort experience! A bit more (different sort of!) prayer, please! A few days ago, I wrote a bit about my ‘USA Saga’…. nothing goes quite as I’m told with anything to do with the States, it seems! Thank you! It’s going to be quite exciting to see some of it again after 4 years! For me, you might remember I’d done one of the ‘do-it-yourself- bowel cancer screening tests – arrived home to another one – and then a letter within 48 hours saying that one gave rise for concern…called the freephone number, thinking the appointment would be weeks away (normally would be in England, I’m still getting used to Northern Ireland being VERY different! ): it was arranged, last Thursday, for this coming Tuesday, 9 am. Of course, I’ll go: I don’t want to be irresponsible, as I’ve known people, dear friends, have bowel cancer, but I’d value your prayers that it IS nothing more than, perhaps, having taken fairly strong pain-killers for my knees for a long time now (some heavy duty pain killers can give pretty bad ‘stomach/intestine related side effects). I’m anticipating that I’ll probably have to have an endoscopy: guess there’s a first time for everything! Then Wednesday, I’m in to see an Orthopaedic specialist about the aforementioned knees….my GP reckons ‘urgent invasive surgery’ is necessary. I’ve seen too many sets of knees healed, replaced supernaturally, restored – to believe for that, but – I should get them scanned, and I’ll at least know where to target the praying! I’d prefer the doc to do something about my bunions! I’m trying to think if you’d like a picture of my bunions, but I’m guessing not, right??!! And, of course, there’s the ‘threat’ of aortic stenosis. No, I didn’t google it either! Just value your prayers, though, perhaps more that the enemy won’t even begin to get a sight of any sort of victory, and that Jesus will do everything that He and His Dad have promised…. Lovely testimony just received from Lisieux, France, where I visited the lovely church ‘La Source’, of friends Francis & Diane Dognon, with Dennis & Cathy Acott, last December. Again, I’ll leave it in the English translation from the couple who sent it to me, rather than in my words! “With the prophetic words of GOD i received before i meet you, with our prayers (church of Lisieux and yours) we have the miracle ! Gabrielle (the little girl of 3 years old in the same class of my son Ilan) is healed ! Gabrielle was healed from cancer or tumor ! Seen you soon. Take care of you. It was twenty years ago today…. ….well, not quite – four, in fact – that I left what I’d called ‘home’ in Hampton, Virginia, United States, to go on a four-week ministry trip, taking in, if I recall, England, Scotland, Romania, and Sweden, all my bags-a-packed and ready to leave… little did I know that day that I’d never see that house, or most of what I’d gathered to make it as much like ‘home’ as it could be, away from the United Kingdom, again….. Ostensibly, it really was a house I went to for about one-fifth of the year, for rest and relaxation: much of my time was spent in other countries. I’d just done all my ‘normal’ checks, like making sure most things were turned off – though doubtless the TV and a few other things were on standby! What happened on my return, 26 May 2009, seems so distant now, four years on: to this day, I, nor my Immigration Lawyer, have ever been given a reason why I wasn’t given ‘permission to land’ that afternoon. The next 7 months were a blur of a night here, a night there, in different people’s homes, as I didn’t want to be a burden on anyone, assuming that my exclusion from the USA would be a temporary affair, whatever. 7 months and 129 different beds later, I found a house in Northern Ireland. All I ‘possessed’, then, were my two suitcases (there are benefits of being a frequent flyer, not the least of which is an extra piece of luggage!) and my laptop bag. Suitcases full of dirty clothes and used up personal items! Even though I took this house on, at £400 a month I really didn’t think I could stay here too long: nor would I need to. Only if God did a miracle of provision, could I stay, as of course, I still had all the bills on the house in the USA to pay….48 months later, and 40 months of being in Ireland, this house has truly become the first place I genuinely call ‘home’ in almost 40 years. Actually, it’s not that I didn’t have ‘homes’ – I did. But I guess, in being advised – warned – no, instructed(!) by my lovely brothers in the Rhinos, that I had to find somewhere to learn to rest and relax, if not I’d be dead – not just spiritually, but physically. I knew deep down that they were right, and I was pretty nearly burned out. And in allowing God to teach me how to rest, I’ve found home in myself. That probably sounds very ‘slushy’ reading it cold: but it’s the truth. The immigration process in the USA was long, drawn out, boring, painful, expensive, and any other similar adjective you want to add there! About 8 months into the process, the church I’d been part of, offered me a job as Foreign Missions Director. Sounds grand, doesn’t it! – but it was a church of about 30 people, so for all its grandeur, it was just a title, with a negligible salary. So the might of the US State and Homeland Security departments started to investigate just about every corner of my life. There were a few funny things: like – on the Immigrant Application form, of which there were many, one page had a box, 2½ inches x ¾ inch, with a number, and a question: ‘Please list here, with dates, all the countries that you have visited in the last 10 years’……that’s funny! When I’d finished the list, it stretched to 16 full pages of A4 paper…..
About 6-7 weeks ago, having thoroughly exhausted their search of my life, USCIS (Customs & Immigration Service) wrote to my lawyer, turning down – yet again – my application, but with ‘leave’ to appeal. I ‘knew’ this time that there was no point in appealing – a God-given gut feeling: as the two reasons for the denial related 1) to the quoted salary of the pastor (much higher than anyone had ever known! ), and 2) to the church there, and its inability to support anyone else when the pastor’s salary was pretty much 40% of the total church income…. Funny as it might sound, I was relieved: relieved that it wasn’t anything I’d done, failed to do, misled them in, and that I could finally rid myself of the feeling that, because I couldn’t – can’t yet – go to the USA (even to transit to go to Latin America), I was almost like a criminal. A dear, dear friend in the States contacted the Pastor, as he, too had heard the communication from the USCIS via my lawyer: to be told that, actually, the ‘job’ I’d been offered hadn’t actually existed for 2½ years! Interestingly, no one there thought it might be a good – or God – thing, to actually tell me. I could have stopped the process there and then, arranged for the house to be sold (it’s owned by two lovely English businessman friends), and I could shed the bills every month…. Have I learned a lot since 4 years ago today! I’ve learned, among many things, that God is the Supreme Provider. The house I’m in here is owned by a friend: to not be able to pay the rent would be awful. Every month God has supplied that rent, and the money to send to the USA to pay the bills there – AND the massive cost of this whole saga….I’ve learned – again – about possessions (Max Lucado, an amazing writer, once wrote ‘We don’t possess our possessions, our possessions possess us’. How right he is!) – in 1983, God got me – the hard way as usual – to recognise that to sell the last house I’ve ever owned was the way forward, en route to Bible school: in 2006, my flat in Worthing, England, was burgled twice, and set-fire to, in a three-week period: in 2010, the house in the USA was flooded and a lot of stuff damaged (I hadn’t been there since April ’09 – don’t ask!!!!!! ): in 2009 I was separated from my ‘stuff’ by a rather bad-tempered, gun-carrying, power-mad immigration officer (don’t worry, I’ve forgiven him!) – a little of that ‘stuff’ is just about to start making its way across the Atlantic in a container…. like I said, I learn the hard way…. I think I can honestly say I no longer value possessions as ‘precious’, the committed relationships and friendships I have are worth so much more. Would I swap these 4 years in which I’ve seen God do the most amazing things, for an easy life? To have missed out on finding out what ‘home’ really is? 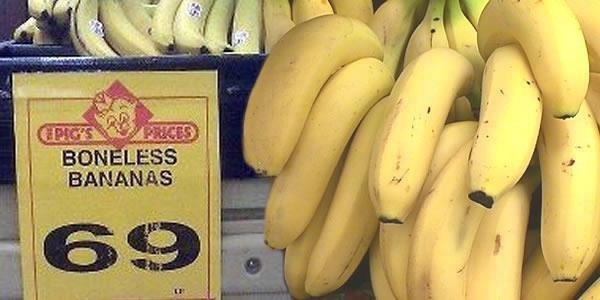 No way, José! I’ve learned a lot about ‘friendship’ – mostly the hard way! Friendship in different cultures DOES mean different things, often: and the USA is a VERY different culture for a Brit to spend extended time in. My understanding of friendship is so, so different to what I’ve had ‘back’, in so many situations. I’ve learned something even more clearly, that I would preach – that we need to believe the best of each other: but only until we can’t believe the best anymore. I live my life, I hope, to be a blessing to as many people as possible – hopefully to more people than those who don’t find me a blessing! It means you get ‘used’ by people, it means you get ab-used by people, but it seems to me that that was Jesus’ style, so if it was good enough for him, then it’s something I’ll spend the rest of my days trying to attain. Most important, I’ve learned that what God says he’ll do, he does: provide, heal, bless, amaze, challenge, strengthen, grow us… the list goes on. God is so, so trustworthy, so great…. Will I ever get back to the USA? Who knows? Will I ever WANT to go back? On a human level, my mind says.. ‘After what they’ve done to you…?’ – but my heart says, yes: for the people there who have loved me through some tough times, a small handful who have heard my frustration, even anger, at the process, and occasionally about people. Yes, because I still believe that God called me there, first in 1994, then again in 2006. Will I ever LIVE there? Now, that’s a whole other question that might take God a little longer to persuade me about!!! I thank God for these four years: I’ve gained so much, lost a great deal, and learned so, so much about people. It’s all been worth it. So NOT ‘Twenty years ago today’, as the Beatles sang, just four. Four vital, important years of being on a steep learning curve with God. “…..then chances are, you and he are walking in the same direction!” I used that quote very many years ago, whilst speaking at a Youth With A Mission school, in Tema, Ghana, West Africa. The leaders there loved it: if I remember right, they even put it as a sign over their classroom door, even over the office door. It’s one of those sort of ‘hackneyed’ Christian phrases that is so easy to dismiss, and yet there’s actually a very strong element of truth in it, if we are to be Christians who are ‘frontline’, ‘cutting edge’, outside our comfort zones. If we believe Scripture (and I do, by the way!! ), then the devil is prowling around like a roaring lion: he’s on our case, and Jesus said, in a quote it’s hard to misunderstand, ‘In this world you WILL have trouble’….’BUT… don’t be afraid, for I have OVERCOME the world!’. So many Christians seem to live their lives without ever encountering the enemy (‘Satan doesn’t trouble those who don’t trouble him’ – another old-time phrase, with a very real ring of truth!). I put in a blog a little while back some comments made to me by a group of five pastors, one day, as we sat and chatted (well, I chatted with the one who spoke English – Samuel Lamb!) about the revival in China, which was then 40 years without ever stopping: so now more than 65 years without ending). I asked them about the revival: they told me ‘We never have a prayer not answered!’. I have to confess that then – and now, but to a much lesser degree – that was NOT my experience of prayer. They went on to say, in answer to ‘What will it take for us in the west – in the UK and USA specifically, to reach that point’. Their communal answer was ‘We pray every day that God will bless the west with the precious gift of persecution!’. Men – and women – like them, in their society, constantly face up to, and overcome the enemy. In the letters to the churches, in the early chapters of Revelation, the word is: ‘To him who overcomes….’ If there’s NOTHING -as we see it – to overcome, no enemy to face, where does that leave us? In Revelation, it says, too, that ‘they overcame by the blood of the lamb, and they did not love their lives so much as to shrink from death’. I’ve recently acquired a book by John Piper, ‘Risk is Right’. I bought it because the subtitle is ‘Better to lose your life than waste it’. In fact, Jesus said that very thing, 5 times in the 4 gospels. So it must mean that we face a very real enemy when we do take risks. These past weeks, I’ve been chatting with a good number of people who are front-liners, risk takers: personally, I don’t want to be anywhere else other than having to be in a position where there’s a very real enemy to beat, with the amazing knowledge that we can’t lose….the people I’ve been talking to are under pressure in countless different ways. Family, finance, somewhere to live, work, illness – things the enemy comes at us with to try to disable us. In Cali, Colombia, earlier this month, all 5 of us there saw miracles and salvations. The enemy HATES that: so he hates US. Chris & Lee both arrived home with terrible stomach disorders, that required not just countless visits to the loo, but whilst there, changing ends, so to speak! They’d both prayed for countless people in Cali who had stomach disorders, so it did seem a little, er, coincidental! Lee’s still not really right, though I think Chris is ok now…. Completed ‘kit 2’ successfully, sent it off on Monday: Wednesday, a letter saying that I must make an appointment at the hospital (next Tuesday, so no hanging around, huh??!) and then probably, the delight of a colonoscopy….last week, too, I went to see a cardiologist (having prayed for many heart issues in Colombia!) for a follow up to some tests (echo-cardiogram) done a couple of years ago. Apparently, I’m told I have ‘aortic stenosis’, and, of course, POSSIBLY, only possibly, bowel cancer…. Is that the stuff of life? Or could it be an enemy prowling round, stupid enough to assault Chris, Lee, and me with stuff we’ve just seen God miraculously heal? Of course, it COULD be the ‘stuff of life’, but it seems unlikely. If I’d inherited some of my family heritage, I’d have rushed out to buy a medical encyclopedia – actually, Google makes it much easier these days, I guess! – to find out what to expect. I SUPPOSE I should be concerned. I’m not being careless, or slapdash: I’ve done their tests, I’ll go to the hospital, I also have to see an orthopaedic surgeon about these jolly old knees (for what my GP says ‘need urgent invasive surgery’). Hmmm. I’ve lost count of the number of knees and pairs of knees I’ve seen God heal in the past 10 weeks, so I’ll wait for the scan: then, having been to all these doctors, I’ll know exactly what to pray for, get others to pray for, and what to tell the enemy to leave alone…. Maybe you’ll think I’m (even more) crazy (than you ever thought)!! I’ve had people say to me, ‘YOU shouldn’t be ill! You pray for the sick!’ Personally, I think that makes me a huge (in many ways!!) target for the enemy to have a go at. I used to believe that he attacked people – me especially – at my points of weakness: I don’t believe that anymore. He knows that I know where I’m weak, so he piles in at my strong points, and tries to bring me down that way. Just wait, Satan…. I’m coming after you, even harder…. Great to spend time today with my great mate, Mark Marx, whose passion to see people healed, and encourage others into praying for healing, is every bit as big – if not bigger – than mine. Although we’ve only known each other a couple of years or so, so much seems to have happened in our friendship, not the least of which was spending 2-3 weeks together in Cali, Colombia, 18 months back. It was wonderful to hear Mark’s recent stories of God healing people miraculously: on the streets, especially, which is Mark’s particular forte. He’s the founder of ‘Healing on the Streets’, which is touching many, many nations now. What is also encouraging is to be with other people who, whilst seeing God do wonders, seem to be being targetted by the forces of hell….not that you WANT others to be going through hell, just that it’s encouraging to know that you’re not the only one! It’s easy, sometimes, to feel that the enemy ONLY wants to sideline YOU: he’s pretty angry with anyone who is doing what John Wimber wonderfully used to call ‘the stuff’ – of the Kingdom. We talked for what seemed only like a little while, but when we settled in my car to pray for each other, away from the busy-ness of the restaurant, it ha been 3½ hours….such valuable time, though. Don’t beat yourself up….it’s not your fault…. Something the bothers me is something that God dealt with in me a while back. 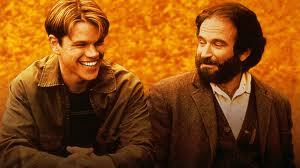 Before I say what, did you see that brilliant film – probably about 1998, with Matt Damon & Robin Williams (a double ‘Oscar’ film) ‘Good Will Hunting’. Maybe for the more ‘faint at heart’ Christians it was to be avoided because of the language, but it was a wonderful story of redemption, salvation, freedom, and total & utter committed friendship and belief. Matt Damon, who co-wrote it & produced it, with Ben Affleck, played Will. Robin Williams was a Psychologist, Sean. Damon came from a rough history, trouble with family, the ‘wrong’ friends, the law, drugs, violence – but though he was ‘only’ a cleaner at a University, he was also a mathematical genius. A professor discovered this: got him ‘saved’ from a lengthy jail sentence, providing that Sean produced reports on his progress: the professor used Sean as ‘assistance’ in ‘putting him right’ so that the he could ‘tout’ him around the world as the greatest mathematician that ever lived. Will wasn’t easy to be around: aggressive, young (18/19 then). The professor got frustrated with him, but Sean persisted with friendship, not necessarily psycho-analysis. Will made some pretty serious blunders: still Sean persisted. Right at the end, just Will & Sean in Sean’s messy study, Sean has to produce a report for the courts on how Will had done. Of course, Will had done some stupid stuff, illegal stuff: and assumed Sean’s report would reflect this. Sean stood there, court/police files open in his hands, when Will asks him, ‘What are you going to tell them, Sean?’. What seemed like forever followed before Sean’s answer. He closed the files, looked at Will, and said, ‘It’s not your fault, Will: it’s not your fault, it’s not your fault’ – half a dozen times before Will got angry with him, shouting ‘Don’t you f*** with me, Sean, don’t you f*** with me. Everyone’s f***ed with me all my life’, physically grabbing Sean as he shouted. Through it all, Sean just kept saying the same words… until, after about the 10th time, Will just burst into tears, they hugged each other, and belief and freedom came to Will…. I meet so many Christians (and I was one until not so very long ago) who carry their history with them, their ‘perceived’ (maybe actual) failures, into the present and on, into the future. All it does is cripple us: give the enemy a foothold where he shouldn’t even be allowed a ‘toehold’, until in the end it becomes a stranglehold, and we end up believing that things can, and will, never be any different. BUT….the more I’ve read it, the more I began to realise there’s a word missing. PAST. ‘Neither the PRESENT nor FUTURE’…where’s ‘past?’ Wholly, totally, redeemed BY JESUS, and it is HIS to keep, and nothing to do with us any more…. ‘Will, it’s NOT YOUR FAULT’…. Friends, please, please, please, don’t, don’t, don’t beat yourselves up….the past is just that – PAST. It’s in Jesus’ possession, now: your only responsibility is now – the present – and the future…. 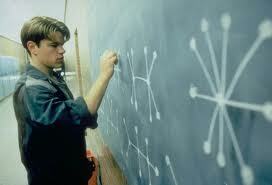 And watch ‘Good Will Hunting’ if you can…. A friend sent me this picture this morning, I just HAVE to repost it – it was captioned ‘Only in Africa’…. God is all you need – but come and shop here anyway! THE HOLY SPIRIT WINES & BEERS SHOP! Why would anyone NOT want to travel, when you can see such ‘gems’ on every side of the street! Many people with heart problems, an astonishing proportion of people with digestive/stomach/waste issues, from allergies to acid re-flux to colitis to ulcers to i.b.s, to – well, you name it… Lee and Chris particularly had a large number of ‘stomach related’ ailments. Then they get home: and are both pretty ill, with – you guessed it – stomach issues. Lee seems to have been for the longest time, but Chris’s was the more..er..’violent’! Please pray for them: and Katie, that God would contend with those who content with him. Before I left for Colombia, I’d received in the mail one of the ‘do-it-yourself’ bowel cancer check kits. Fascinating…! I’m sure when A. A. Milne wrote ‘Winnie the Pooh’, he had no idea what one day ‘pooh sticks’ would actually be for…. :). When I arrived home, I had a letter from the health authority with yet ANOTHER testing kit, a different one, as they’d…hmmm… seen blood in the first one. My history would be – panic! I just looked at it: and honestly, I’m not blasé about illness, being only too aware that, as someone whose passion is to pray for the sick, I’m a pretty large target for the enemy where sickness is concerned. So I sort of laughed as I played ‘pooh sticks’ once again: sent it off yesterday. I’m genuinely not in faith to get cancer, much preferring to God heal people of it. But then I wasn’t ‘in faith’ to get arthritis, and got it to some degree, in my knees (they’re getting better and they’re doing ok, bearing in mind I hammered them for 3 weeks!). Wednesday, I had a sort of ‘health service service’ – visit to a cardiologist (there’s a long history of blood disorders in my family)… normally, specialists at out-patients can be pretty unfriendly and ‘clinical’. This lady wasn’t: she was great, she’d lived in New Zealand, France, Australia: I told her I’d just come back from Colombia, and she was asking me all I knew about Latin America! Then told me…nothing to worry about, but you’ve a ‘mild-moderate’ arterial stenosis’. I’m told that’s a very slight narrowing of the aorta from – er – one of the ventricles! The words vaguely mean something, but in the old days, I did what was then known at school as ‘General Science’ -pass grades at ‘O’ level were 1-6, fail 7-9. I got a 9 :). So Lord, please heal Chris, Lee, and me, in the Name of Jesus! Can’t be too serious, the nice doctor just wants to see me again in a year, perhaps this time to talk about India and Africa…!!! Interesting quote, apparently accredited to Pope Francis: ‘Only the Catholic Church is capable of interpreting the Bible’. Seeing the mess its in, perhaps ‘capable’ isn’t the best word…!